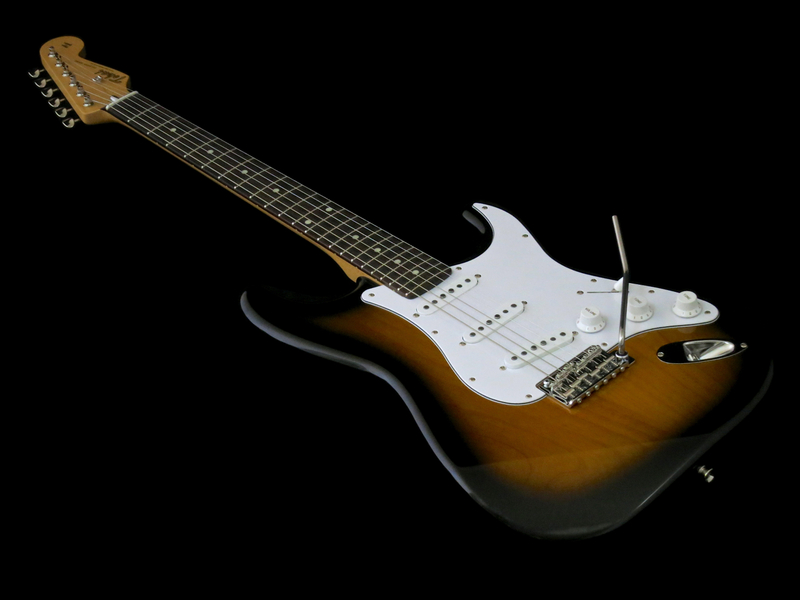 Tokai Guitars’ extremely well-made Japanese – uhm – tributes to classic electric guitars from the 1950s and ’60s were one of the main reasons why industry giants, such as Fender and Gibson, started their own Far Eastern brands, like Squier and Epiphone, in the Eighties. Yet Tokai doesn’t cling slavishly to the past, instead the company is also regularly coming up with up-to-date versions of their best-loved models. 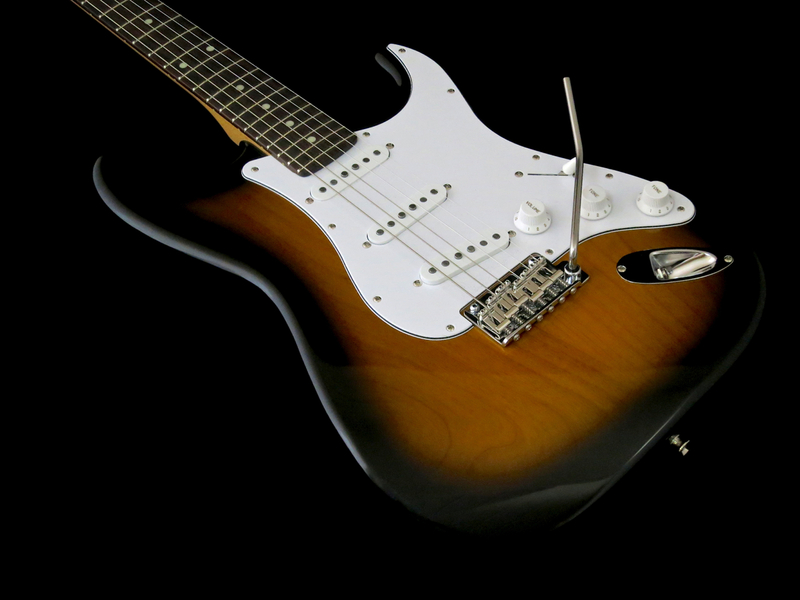 Their newest updated Strat-style electric is the Tokai TST-50 Modern (999 €; comes with a hard case), which was developed in cooperation with Tokai Guitars Nordic. We find a bolt-on maple neck with a rosewood fretboard, and a premium class alder body adorned with a beautiful two-tone sunburst finish. A bullet truss rod adjuster on the TST-50 Modern allows you to tweak your neck relief without having to detach the neck from the body, as on vintage style S-type guitars. 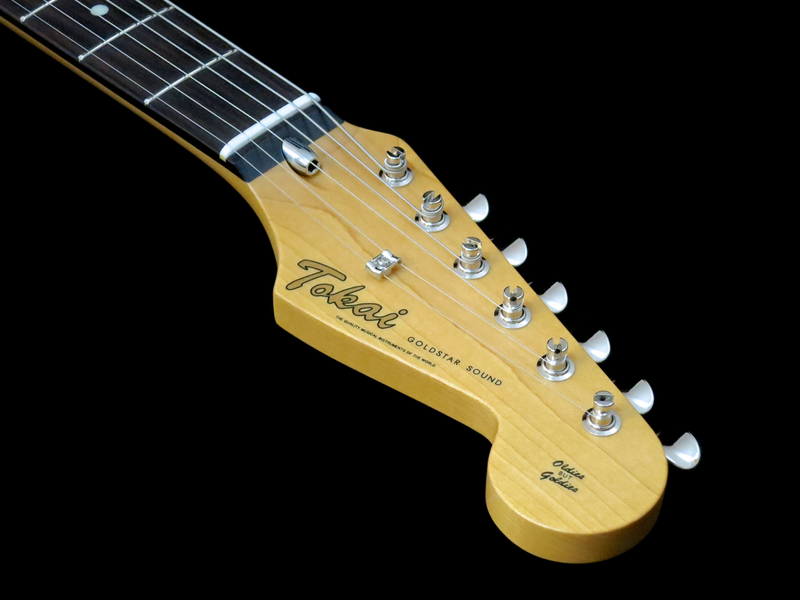 But despite the bullet truss rod, Tokai have chosen – wisely, in my opinion – to stick with the original four-screw neck attachment. The Tokai TST-50 Modern comes with a 9.5 inch fingerboard radius, which means that the feel is slightly flatter than on vintage Stratocasters (that usually feature a 7.25 inch radius), but still more curved, and thus more Fender-ish, than Gibson’s flatter 12 inch radius. The TST-50 Modern also sports chunkier frets (Dunlop 6105), making it easier to play than the thin wire used on vintage originals. 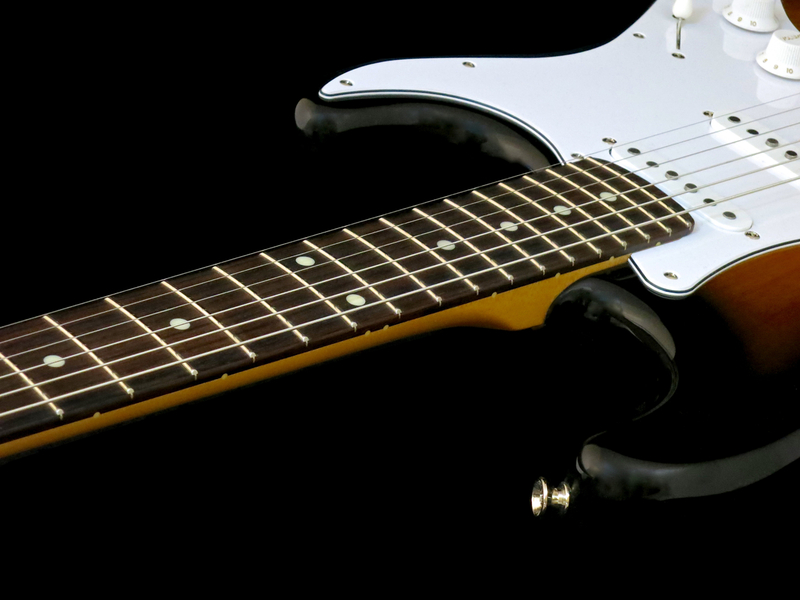 In combination with the flatter fingerboard radius the bigger frets also make string bending a great deal less work. As a final flourish this models gives you an additional fret (22 instead of 21). 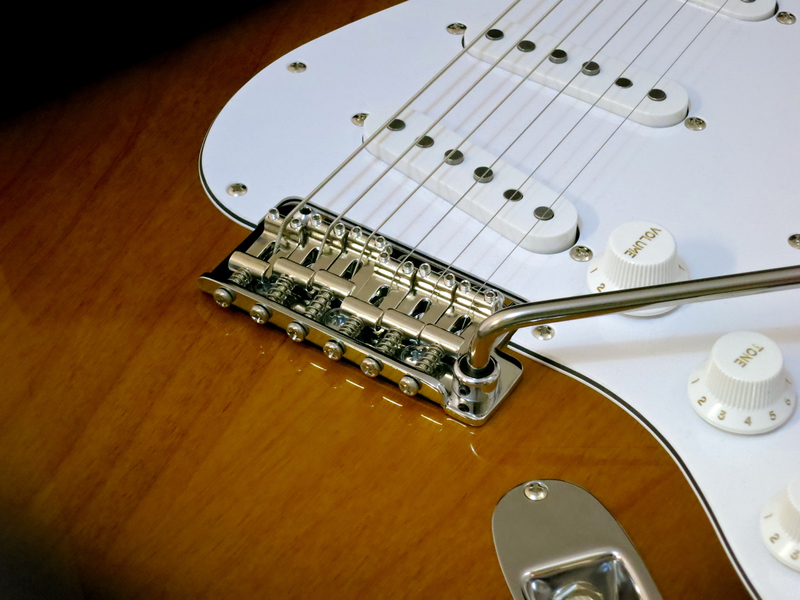 The classic six-screw Stratocaster vibrato bridge was a huge engineering achievement back in 1954. No other vibrato offered that much travel, coupled with excellent sound and very fair return to pitch. Now – 60 years later – many players do look for an even smoother and more precise ride, than what the vintage model can offer. 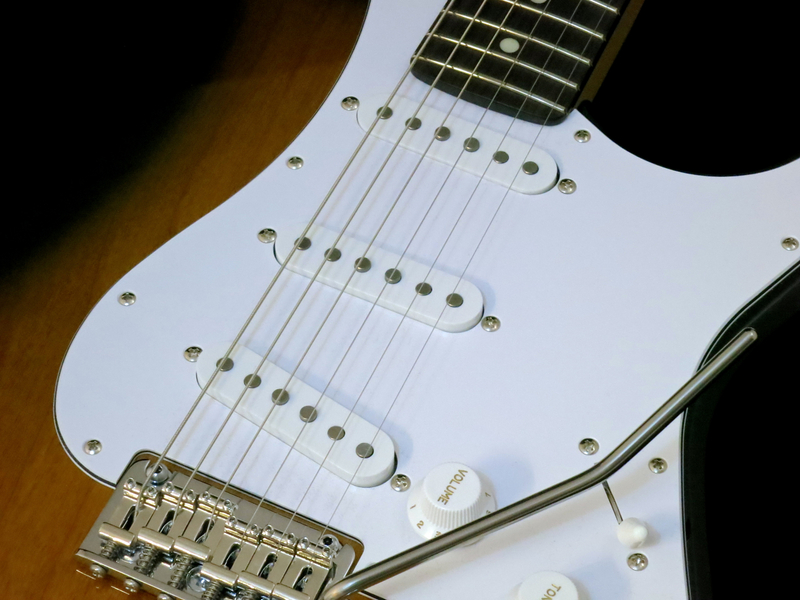 For these guitarists the Tokai TST-50 Modern offers a modern, two-post vibrato bridge – the Gotoh 510T model. 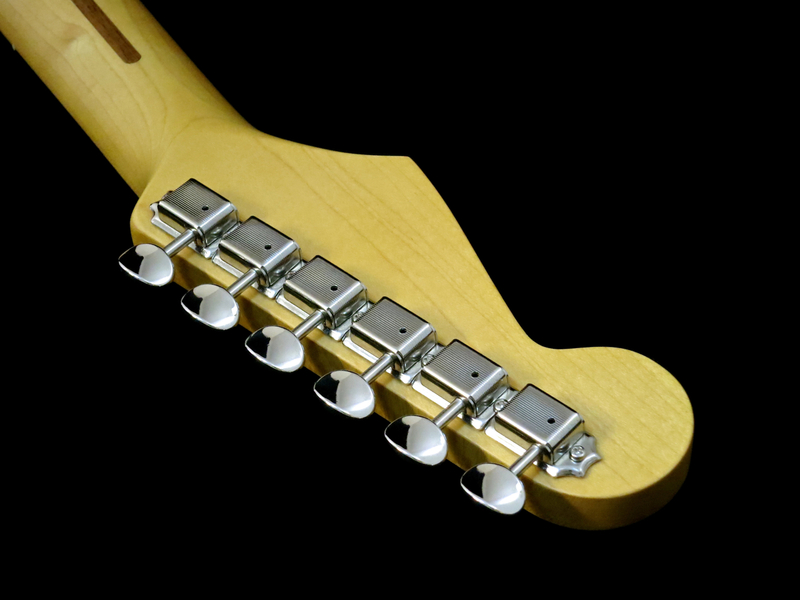 Gotoh’s 510T-vibrato comes with the company’s groundbreaking FST-block. The string channels inside the FST-block have been drilled much deeper than in a vintage block, which anchors the ball ends much closer to the bridge plate. The strings then pass the bridge plate at a shallow angle, without being pressed hard against the plate’s sharp edges. Thanks to Gotoh’s FST-system the vibrato’s return to pitch is improved vastly, because the strings’ ball ends stay in place firmly. 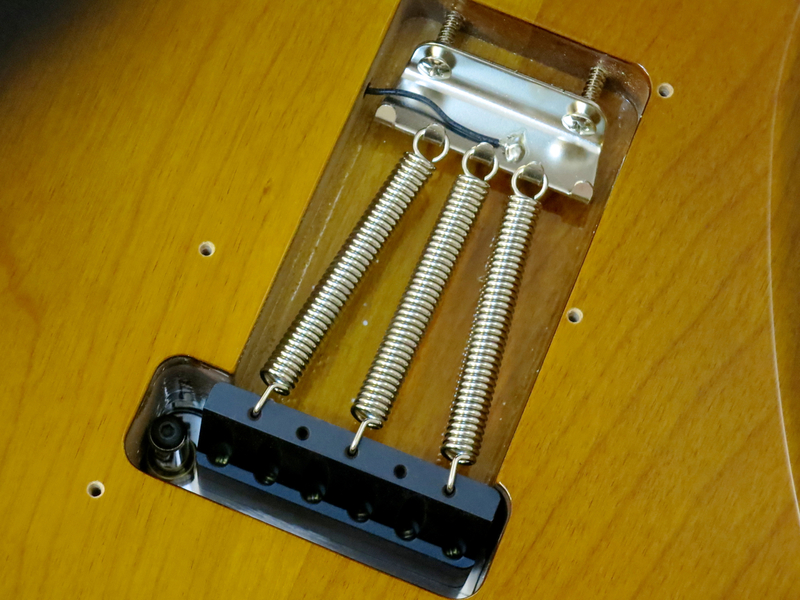 Additionally, this system cuts down significantly on string breakages due to friction between the strings and the bridge’s base plate (like normally seen on vintage Strat bridges). When it comes to its pickups and control layout, Tokai’s TST-50 Modern follows a classic footpath – a trio of Tokai’s acclaimed Vintage ST pickups, along with a five-way switch, a master volume, and tone controls for the neck and middle pickups. Hidden beneath the three-layer scratchplate there’s a humbucker routing, in case you want to customise you guitar further. Vintage or modern, fans of Strat-style guitars expect a high level of ergonomics from their instrument, and Tokai’s Japanese TST-models never disappoint. All the body contours have been copied from the famous 1957/58 originals – it doesn’t get any more streamlined than this. The satin-finished neck features an oval C-profile, which is just the Sixties-type of neck shape I enjoy the most on an S-style guitar. Thanks to the flatter fretboard radius and the medium-jumbo frets, the playing feels of the TST-50 Modern is similar to that of a well-loved, much-played, and refretted vintage model (but without any scratches or dents, of course). The Gotoh 510T vibrato works like a dream. It’s smooth and precise, but doesn’t add any unwelcome metallic overtones or sharpness to the sound (unlike some Floyd Rose bridges). 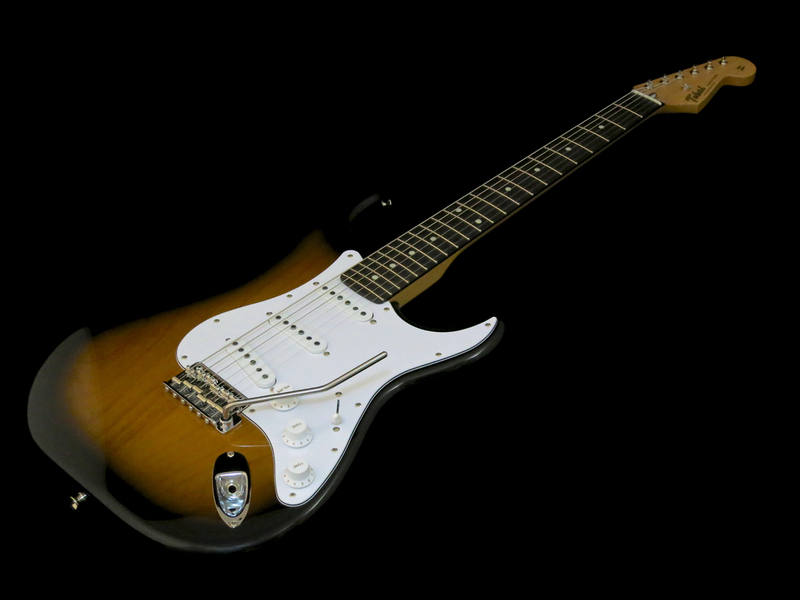 The Tokai TST-50 Modern sounds like a top-drawer Strat should. 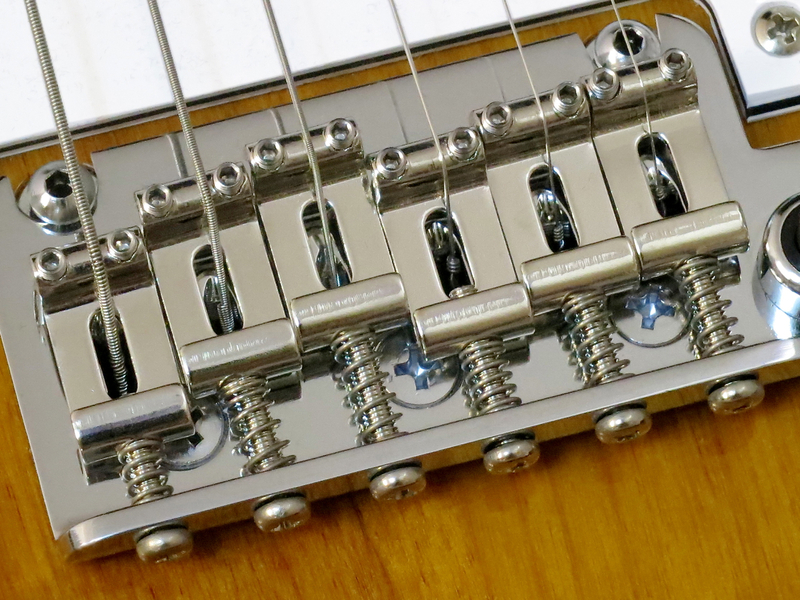 Gear reviewers often face criticism for not ”dishing the dirt” on the equipment they test, but in the Tokai TST-50 Modern’s case there isn’t really anything negative to write about. 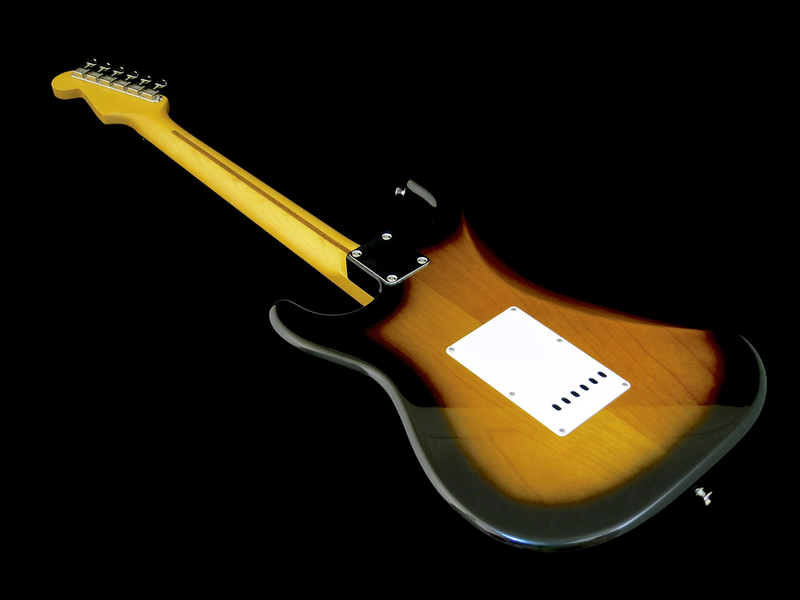 This is an extremely well-made updated version of the most famous electric guitar of them all. 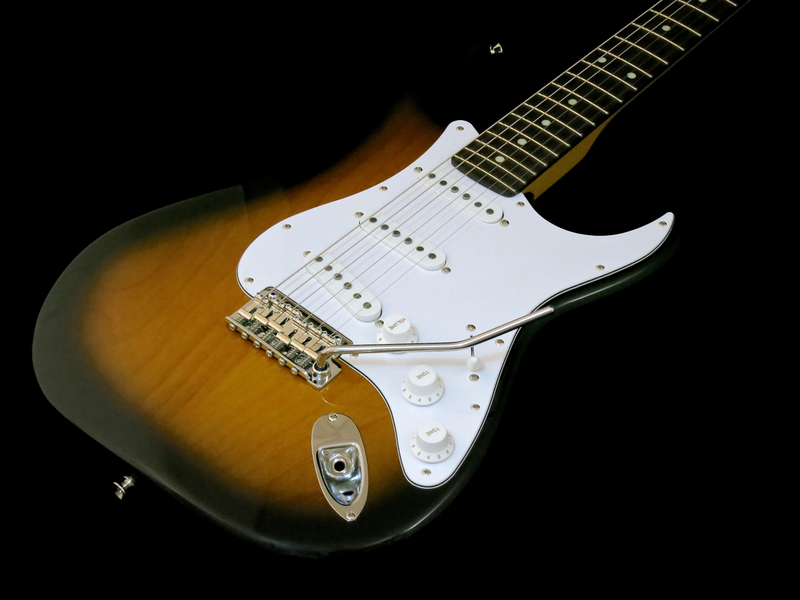 The Tokai combines modern playability with delicious vintage sounds.